Trying something before you buy it is always good idea. 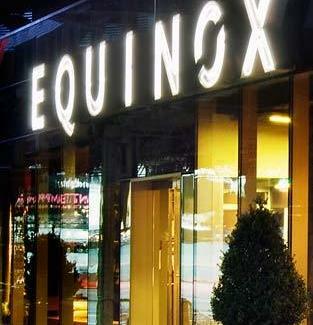 Now, get a complimentary, 3-day VIP trial from a place designed to give you a better life: Equinox Fitness Clubs. Good at any of their many locations, Equinox's 3-day trial allows you to get an up-close-and-personal look at their ultra-modern equipment and lavish amenities (a premium deal that's rarely offered, and valued at $105). You'll also get to check out their teeming multitude of group fitness classes, from the core-carving ViPR to Whipped -- which gets you into shape through the use of ropes and kettlebells, an old-school way to harden up a body overly fond of kettlecorn. Sign up, and you'll also get the benefit of personal trainers who've graduated from Equinox's proprietary institute, plus spa facilities, an exclusive workout-managing iPhone app, and even chilled eucalyptus towels, providing post-workout revitalization and a scent no koala within a hundred miles will be able to resist. To take advantage of the 3-day VIP trial membership, just hit equinox.com, and ensure that you get a healthy body today.